Kronberg/Sulzbach, October 1, 2018 – Anastasia Liebe Mona Homm and Charlotte Weber demonstrated their excellent talent to an enthusiastic audience in the Main-Taunus-Zentrum (MTZ) after successful performances in Berlin, Vancouver and Paris with a three-part “FRANKfurtstyleaward Fashion Show of the Newcomers”. Last Thursday there was enthusiasm and great recognition for the captivatingly choreographed stage show “Fashion Show of the Newcomers”. Three of the award-winning young designers of the FRANKfurtstyleward created a glamorous flair in the popular shopping center in the heart of the Rhine-Main metropolis. The three winners of the FRANKfurtstyleaward, Mona Homm (2016), Charlotte Weber (2017) and Anastasia Liebe (2015), presented their winning designs as well as selected pieces from their current collections and provided the astonished audience with explanations of their inspirations. A special eye-catcher: Lino Schubert, Hessen’s first burlesque dance trainer, showed fascinating body control on high heels with a grandiose dance interlude. The newcomer models of the New Faces of the EastWest Model Agency under the direction of Carlos Streil as well as the Famous Face Academy of Sevgi Schäfer, both members of the FRANKfurtstyleaward jury and long-standing partners and sponsors of the globally successful talent competition FRANKfurtstyleaward also proved their skills. The charming presenter Anke Seeling, who has been familiar with the FRANKfurtstyleaward for seven years, shone with her confident appearance and revealed all kinds of interesting facts about Frankfurt’s unique fashion talent competition to the visitors. 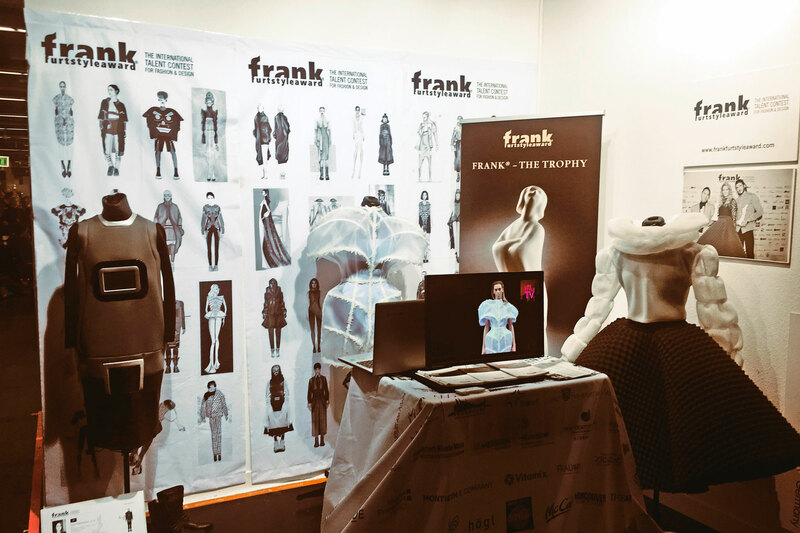 Matthias Borutta, Center Manager of the Main-Taunus-Zentrum, as well as Hannemie Stitz-Krämer, founder and organizer of the FRANKfurtstyleaward, drew an outstanding balance of the Fashion Days: “This day was another milestone in the history of the FRANKfurtstyleaward. It was a very professional interaction of all participants and I am sure this will be a lasting success for everyone”, said Stitz-Krämer. Special thanks also go to HÖGL shoe fashion GmbH, which invited to a fashion champagne reception in the HÖGL Store in the MTZ to accompany the event.